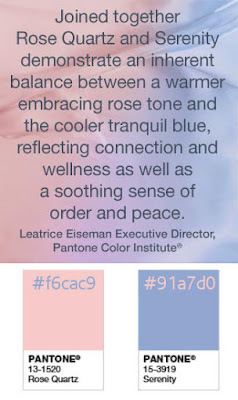 Colour has a big impact on all of the work I do so I'm always eager to see the colour trends published by Pantone. The seasonal colour schemes are based on trends in clothing design. I'm not sure what the 2016 Colour of the Year is based on but there's two of them. 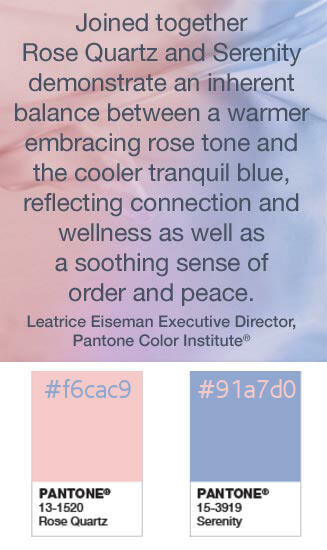 I wonder if someone high up at Pantone just had a baby. While I quite like the colours personally, I don't see much business application. If a new client with a baby shop comes along, I might think differently, of course.